So, I did the 25 minute but made it a 10.3 mile to match our weekly time trial distance. 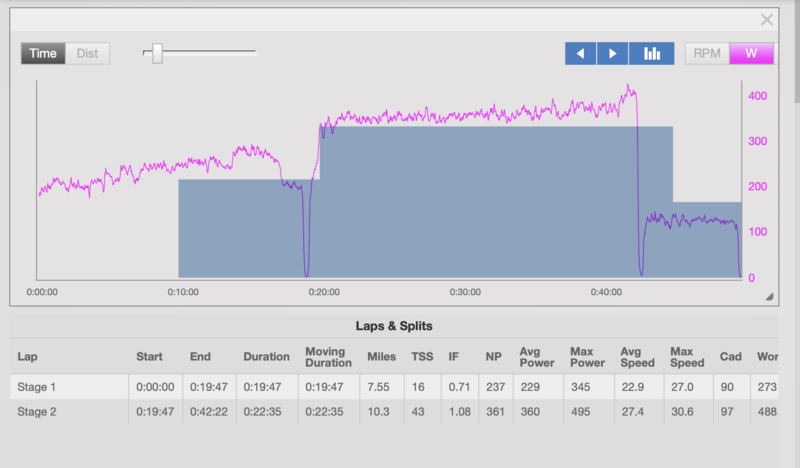 Went 10 minutes at 371 and 20 at 362, both pretty good for 2019 and my average for the distance hit my goal of around 360. I'm going to do some more later. Winter Training Evaluation: Where are you? Building your Base? Still relevant? From RBR....how much should you train? Thie s Week: 5 tt's ? Does Sweating Less Mean I'm Not Working As Hard? CTS Team Workout: Sounds Like Fun! Congrats to University of Cincinnati Cycling Team! Register for the Summit here and save even more! Tips on Losing Weight from Chris Carmichael.